CARDIFF-BY-THE-SEA — Kimberley Alkhas’ sons, second grader Blaize and first grader Steele, were averse to anything green on their plates. That was until two years ago, when Blaize brought home a head of lettuce he grew in Cardiff Elementary’s garden. Kimberley, now a volunteer in the garden, has even taken to growing pumpkins and watermelon at home thanks to her sons’ newfound interests in planting and harvesting crops. It’s a testament to the vision of Dorothea Smith, who passed away nearly a year ago. She contributed $6,000 in seed money for Scrumptious Schoolyards, the nonprofit that runs the garden at Cardiff Elementary. Each class at Cardiff Elementary gardens throughout the year, yielding food for the school cafeteria’s salad bar and for students’ families. Smith donated funds for 20 apple and tangerine trees as well as two garden beds about three years ago. Since then, the garden, next to the school on the corner of San Elijo Avenue and Montgomery Avenue, has grown in size. At the end of last year, the garden swapped places with the adjacent Dog Park, affording extra space. Now there are 20 new garden beds, sunflowers sprouting on the perimeter and a large compost pile. Having grown tropical fruit and avocados on an orchard for nearly a century, Smith wanted students to have a better sense of where their food comes from. 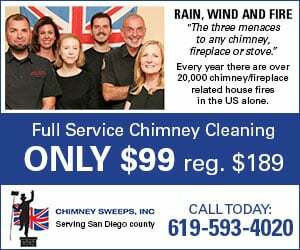 “She was part of one of those original Encinitas agriculture families,” said Catherine Blakespear, Smith’s granddaughter and the chair of Scrumptious Schoolyards. Smith’s parents grew gladiolas commercially throughout Encinitas, and she remained in the community until passing at the age of 95. “She was really connected to the land and wanted children to have that as well,” Blakespear said. Right now, each student at the school has nearly one square foot of tillable soil to work with. “Kids love to get out watering cans, they love to dig in the dirt and love to put a seed in the ground and see a couple days later it’s grown,” Blakespear said. 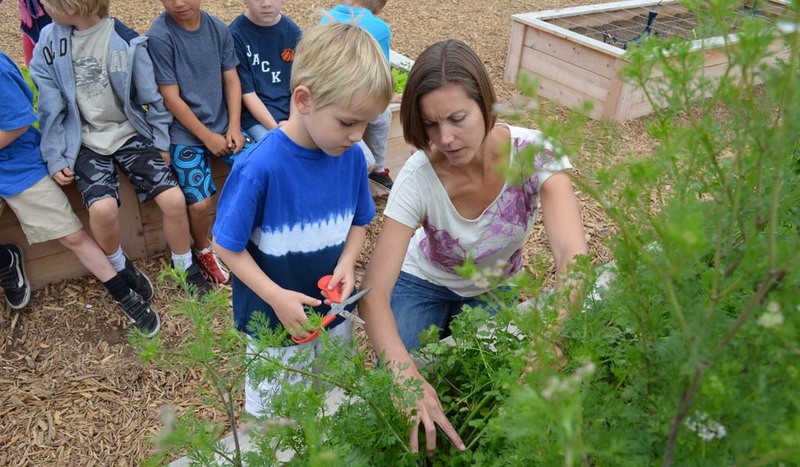 On Tuesday, a kindergarten class was busy harvesting cilantro. Once they sheared it with the aid of a teacher, the students bundled the cilantro, attached a note with recipes to the herb and brought it home. As well as eating healthier, Blakespear believes students who garden are less likely to pollute, litter or waste resources. Devon Azzam, the garden teacher at the school, said that lessons learned in the garden dovetail with curriculum from a variety of subjects taught in the classroom. Hands-on experiences gardening reinforce life sciences classes that cover the stages of plant development, as well as weather patterns. “There are a lot of larger concepts that tie into gardening,” said Azzam, who has a master’s degree in garden-based learning from UC Santa Barbara. “Watching them expand has really been something to watch,” Parker said. Beyond the seed money given by Smith, local volunteers have raised more than $6,000 for Scrumptious Schoolyards. And the nonprofit received grants from the Rob Machado Foundation and the city last year. In the next few months, the nonprofit will ask Cardiff Elementary’s Parent Teacher Association for additional funds to continue supporting its garden teacher. “You build this thing, and you put in a lot of time and energy into it, and then you hope the community, teachers, parents and students, think it’s worthwhile to keep it going,” Blakespear said. Those interested in volunteering time or money can email scrumptiousschoolyards@yahoo.com.